Kids love the fun designs, and parents love the professionalism and quality of work! Pair face-painting with Jenna Lane’s unique caricature art, or hire a Jenna Lane Art face painter solo for your event! Jenna Lane Art employs professional artists with a high level of innate creativity. This young man requested to be a robot, and within 15 minutes, Jay Vette used his professional art background to do just that! 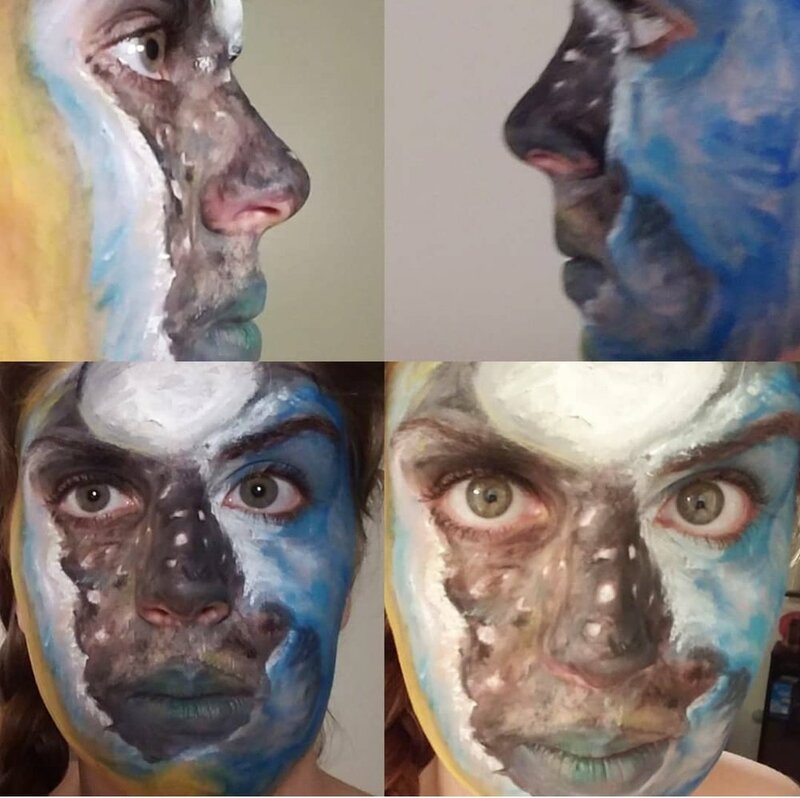 JLArt uses water-based face paints only. These are safe, effective, non-toxic, and washes off easily after once the party is over. Rest assured that whomever gets face painting with JLArt has our safety guarantee!